Board-certified plastic surgeons such as Dr. Nguyen can tell you what to expect from a tummy tuck, breast lift, or liposuction procedure. The Mommy Makeover in Orange County CA is different, because this and other procedures may be part of a patient’s unique treatment plan. The unifying factor among all patients who have Mommy Makeovers is the procedures involved are typically administered in response to changes brought on by pregnancy. The answer to, Are Mommy Makeovers Safe? starts with a Board-certified plastic surgeon. In addition, ABPS members must complete continuing education in critical areas such as patient safety every year. Just like you wouldn’t buy a car or house based on price alone, don’t select the lowest-cost provider who offers the procedures you need to complete your mommy makeover. There can be serious safety consequences, as not all providers who offer plastic surgery procedures are plastic surgeons appropriately trained and certified to perform these treatments. There is no substitute for the years of experience and the proficiency in this specialty area demonstrated by ABPS members like Dr. Nguyen. Another factor to consider is where the procedures are performed. The Institute of Cosmetic and Reconstructive Surgery’s surgery center is located inside the Outpatient Services building for Fountain Valley Regional Hospital. Our facility is not only technologically-advanced, but it is also accredited by the Accreditation Association of Ambulatory Health Care, an independent organization that continuously evaluates and measures centers’ safety and quality of patient care. An important part of any surgical facility is the anesthesia provider. Our Director of Anesthesiology, Dr. Montoya, is also board-certified by the American Board of Anesthesiology, and her 25-plus years of experience shows; many of our patients often comment on her skills, noting that they wake up after procedures feeling comfortable and with minimal side effects. Remember, Mommy makeover procedures are not a substitute for proper diet and exercise It’s also important to keep in mind that our team likes to wait at least six months after your child was born, or after you breast-fed to move forward with treatments. It takes time for your body to heal and for tissues to settle naturally after pregnancy. 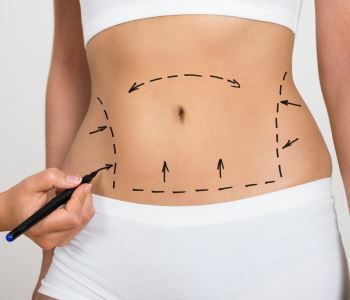 After that six-month timeframe has passed, any remaining bulges and contour changes are likely permanent and require intervention to restore curves to that pre-baby glory. Dr. Nguyen also discusses preparation or lifestyle changes that may be required before treatment. For example, it’s important to stop smoking because nicotine interferes with healing and proper circulation. Likewise, he’ll discuss any medications or herbal supplements that may need to be discontinued for a time prior to surgery. Aspirin and anti-inflammatories are among the drugs that can increase your risk of side effects such as bleeding. Common risks of mommy makeovers depend on the specific procedures, such as if you are having a tummy tuck, breast lift or augmentation, lipo, or vaginal rejuvenation. Generally, surgical risks include bleeding, infection, scarring, fluid collection under the skin, and sensation-related changes. As you did before surgery, follow any post-operative instructions provided by Dr. Nguyen and keep follow-up appointments so your healing and results can be assessed, and modifications made as needed. It’s important to prevent surgical sites or incisions from being subjected to excessive force during the weeks when swelling decreases and tissues contour to your restored shape. Let us enhance your natural beauty. Call (714) 421-4022 to schedule your consultation.